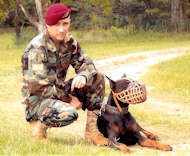 Specializing in dog training equipment for sport,schutzhund,police, military and enthusiasts. 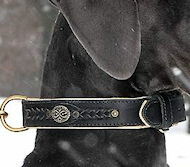 If this is your first time ordering from Doberman-dog-breed-store.com order with confidence. Our products are guaranteed... we are happy to exchange items until we find the right fit. We look forward to adding you to the long list of satisfied customers. 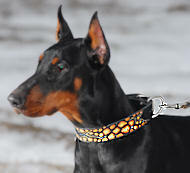 Satisfaction and quality are more than simple words... at Doberman-dog-breed-store.com it is our guarantee. With the right person, a Doberman will make a wonderful pal and protector for children, an obedient companion and loyal friend, and a loving member of the household. Owning a Doberman, or any dog, requires a lengthy time commitment. A dog is for life, not just until it is inconvenient. A Doberman can be a real pest. 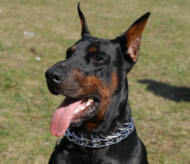 If you are looking for an outdoor pet, do not consider a Doberman. A Doberman wants to be a member of your family. He will not be satisfied with an occasional pat and kind word. 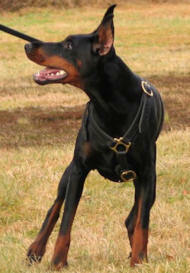 Dobermans require firm, yet loving training and guidance. Obedience training is a must. Dobermans are too smart to be permitted to misbehave. 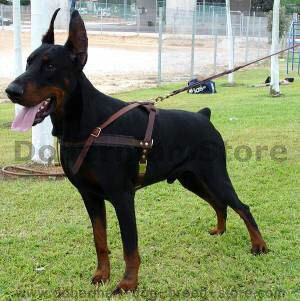 To own a Doberman you must be one step tougher and smarter than your pet. Exercise is vital to a Doberman. However, they should not be permitted to run loose. If that is the case, a Doberman probably isn’t for you. A Doberman is loving and affectionate with his family and close friends but is somewhat aloof and distant towards strangers and mere acquaintances. The only bad part about owning a Doberman is that their lifespan is so much shorter than ours.